The first Irish woman to be named as Corporate Vice President at Intel and Apple’s Vice President of European Operations will be honoured at UCC’s Alumni Achievement Awards on Friday. 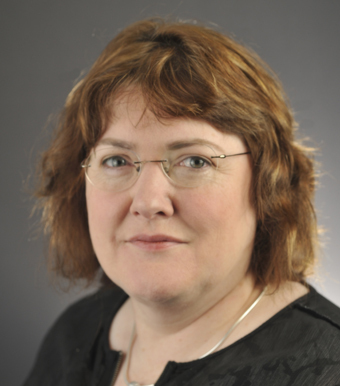 Ann Kelleher (pictured), corporate vice president in Intel’s Technology and Manufacturing Group and General Manager of the Semiconductor Manufacturing organisation at Intel Corporation and Cathy Kearney, Vice President of European Operations at Apple are both set to receive a Distinguished Alumnus Award. She is currently responsible for Intel’s worldwide silicon wafer fabrication facilities. Prior to assuming her current position Kelleher was the leader for Intel’s large Fab 11X fabrication facility in Rio Rancho, New Mexico. In that role, she was responsible for all aspects of the operation, including safety, people and operational metrics for high-volume manufacturing of leading edge process technology. Earlier in her Intel career, she led Intel’s Fab 12 facility in Chandler, Arizona, as well being the factory manager of Fab 24 in Leixlip.